When I say I could write a great screen play/realty TV show, I’m not kidding. Over the past 25 years, I’ve had the pleasure (sometimes pain) of being part of the event management industry. I’ve been through it all, hurricanes, tornado watches, killer hail storms, flooding…you name it. One thing I have learned out of all my crazy experience is that I cannot control the weather and I’m certainly not going to let that stop me. So what do I do? I get the JBM team together and start another outdoor event. Yes, if you’re reading this, our very first blog ever, you obviously have heard that we will be launching the new Wilmington Boat Show. 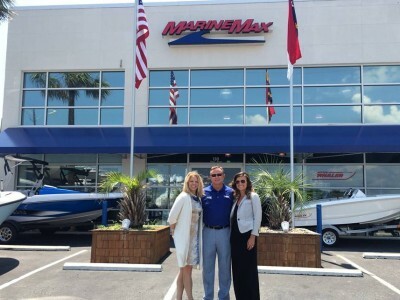 My name is Jacqui Bomar, my company is JBM & Associates and we’ve been producing boat shows in Charleston and Savannah for the past 15 years. For more than 10 years I have wanted to produce a boat show in Wilmington but the time was never right- until now. With the new Port City Marina and the Wilmington Convention Center, we are excited to bring a first-class boat show to Wilmington. 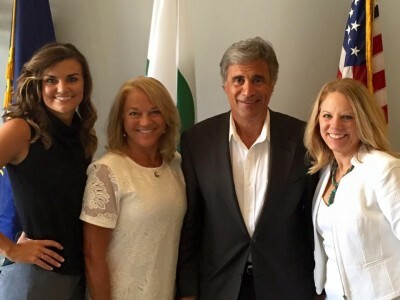 The JBM team gets a warm welcome from Wilmington, NC Mayor Saffo. The inaugural show is scheduled for September 9-11, 2016, but we have been working on it for the past year. It surprises people how much work actually goes into a start-up show of this magnitude. The good news is we have been through start-ups several times, and understand all that needs to be done and in what timeframe. My hope is to share an interesting behind- the- scenes look at JBM’s adventures over the next year while planning this event. 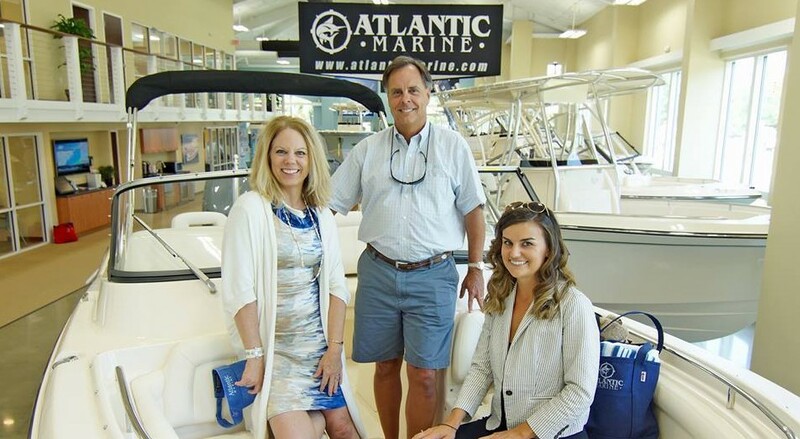 We will not bore you with the hundreds of planning meetings we have already had but hopefully we will give you a glimpse into the magic of creating the Wilmington Boat Show. The only thing that will potentially stop the show now is maybe a hurricane or two! JBM is its own force to be reckoned with, so come on mother- nature, bring it on. We welcome you to get on board and enjoy the ride with us. We are grateful and appreciative to all the amazing business partners who are working with us on the show. Please enjoy a few of our pictures collected over the past 6 months. Stay tuned for my next post. 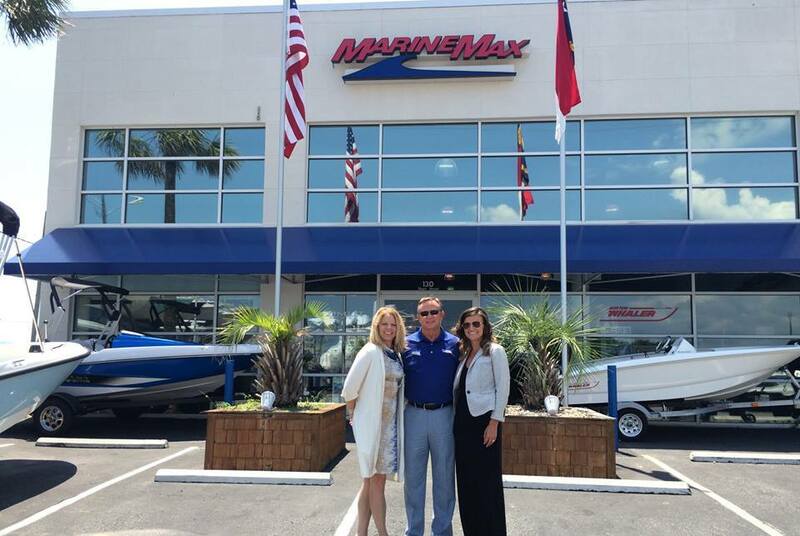 Jacqui and Erica outside of Marine Max. With all the new excitement going on the waterfront, this show will be awesome. Welcome to The Wilmington Boat Show Blog, documenting a year in the life of planning our first event in beautiful Wilmington, North Carolina. Peter Finger on Welcome to the Blog!